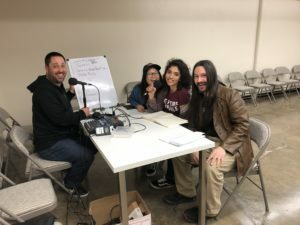 Episode 128 features Justine Lopez, Maria Gloria, and Marco Cabodi competing to assemble the Top 10 List of Best Best Junk Food. I forgot to bring two microphones so Justine, Maria, and Marco had to share. (Microphones are probably the most important part of recording a podcast.) I love the new show format and I have so much fun recording the podcast. As usual I spell everything wrong (drink) and call Maria by the wrong name (drink). Warning: this episode will make you hungry and result in a run to the store. Thank you for listening! Remember- tell your friends about the Top 10 List Podcast!